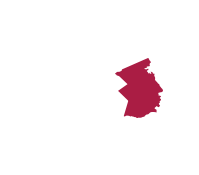 18-hole championship course with 4 different sets of tees. 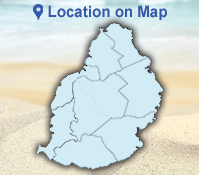 Location: Ile aux Cerfs Island, across from the city of Trou d'Eau Douce - Mauritius East Coast. 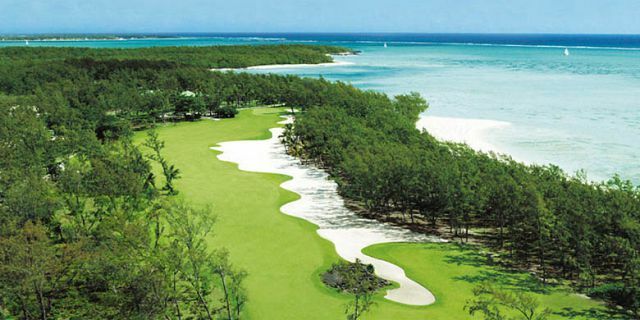 The golf course is situated on its own beautiful tropical island across the water from the Le Touessrok resort and is reached only by the golf course's boat service. Ile aux Cerfs Golf Club is a remarkable Golf Course which earned a reputation as one of the best golf course in the world. 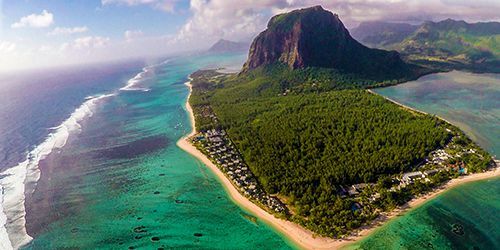 Fringed by white sands and surrounded by the blue Indian Ocean, Ile aux Cerfs Golf Club features breathtaking views. 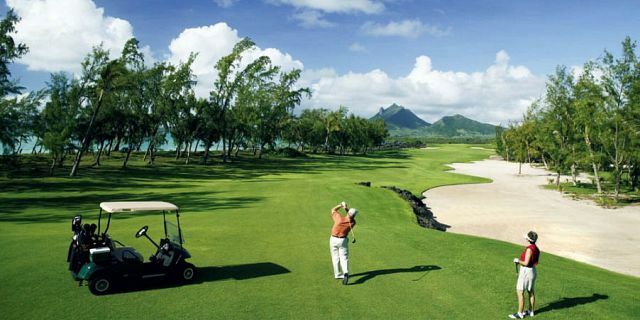 The Ile aux Cerfs Golf Club was recently named 10th best golf course in the world by both Golf World magazine (UK) and Middle East Golf Magazine, as well as 19th by Golf Journal (Germany). 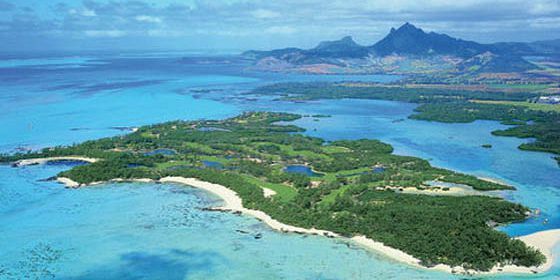 Across the lagoon on a private island, the Ile aux Cerfs Golf Club is destined to become one of the wonders of the game. The island is just perfect for golf. 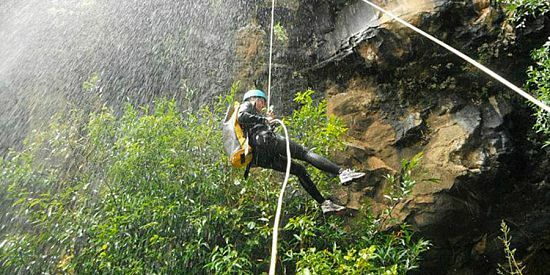 It has a coastline of little bays, inlets and promontories - natural undulating topography, volcanic rock outcrops, lakes and gullies, and a profusion of tropical trees and plants. 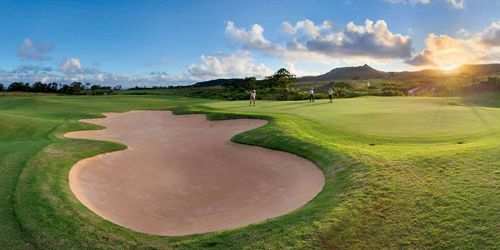 The course covers 38 hectares and is the second longest in Mauritius, with the holes snaking up and down the length of the island. All the 18 holes have views of the ocean - some with glimpses across clearings through the trees; others by coming close to the shore. Expansive white sand bunkers and water set off the natural backdrop of trees and vegetation perfectly. This is achieved with four sets of tee decks for each hole, so the angles of attack and approach vary. There is a generous provision of fairway where appropriate. The greens are mainly small and undulating, requiring precise approach shot. The tees - Each hole has a minimum of 4 Tee decks: the Langer Tees, championship Tees, tournament Tees and forward Tees. Opening times: First tee-off for 18 holes 7:30 / Last tee-off for 18 holes 14:00. Dress code - Golf shoes with soft spikes are compulsory on the golf course. 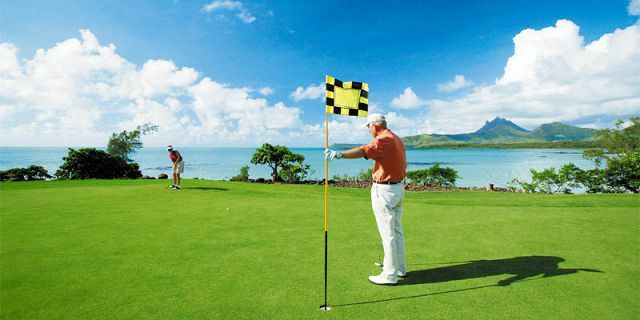 Regular golf attire is required, including shirts with collars, tailored trousers and Bermuda shorts. No denims, beach wear, tennis wear or training shoes are permitted on the golf course at any time. 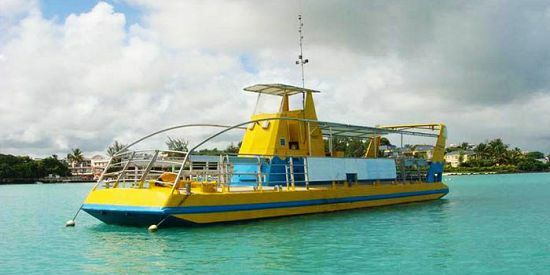 Rack Rate includes: Green Fee, Golf Cart, transfer of boat to Ile Aux Cerfs and back, 1 bottle of water and some Tees. 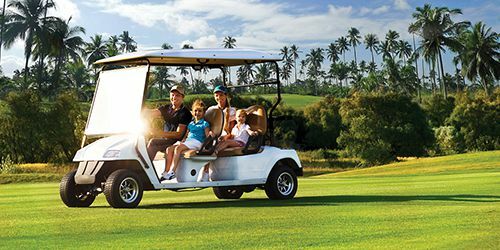 Golf Shuttles to and from Ile aux Cerfs are available every 20 minutes during operating hours between 06.40-20.00.